Nathan Gunn is a vibrant Figaro with a potent sexuality! 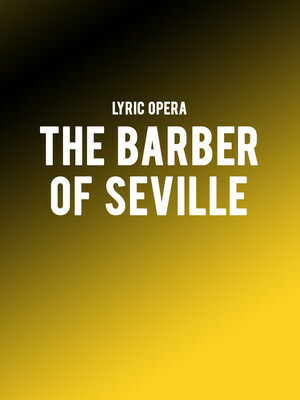 Why See The Barber Of Seville? Tony and Olivier Award-winning director Rob Ashford directs Rossini's famous opera in this new production by Chicago's very own Lyric Opera. The story follows Figaro, the Barber of Seville and a self-made match-maker! His latest project is to ensure the beautiful Rosina is able to wed Count Almaviva, much to the dismay of her guardian Bartolo who wants to marry her himself. Adam Plachetka performs the lead role of Figaro alongside Marianne Crebassa as Rosina in this timeless comedic opera that is simply not to be missed! Sir Andrew Davies conducts. In Italian with projected English texts. Sound good to you? 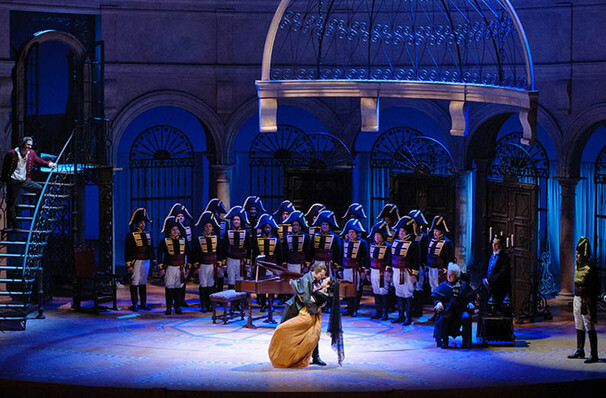 Share this page on social media and let your friends know about The Barber Of Seville at Civic Opera House. Please note: The term Civic Opera House and/or The Barber Of Seville as well as all associated graphics, logos, and/or other trademarks, tradenames or copyrights are the property of the Civic Opera House and/or The Barber Of Seville and are used herein for factual descriptive purposes only. We are in no way associated with or authorized by the Civic Opera House and/or The Barber Of Seville and neither that entity nor any of its affiliates have licensed or endorsed us to sell tickets, goods and or services in conjunction with their events.